BANGALORE; 16, December 2017: Bangalore will be hosting a three-day conference on Innovation and Intellectual Property from January 23rd to 25th, 2018. GIPC in its 10th year is an annual meeting of in-house IP counsels, startups, and IP attorneys to discuss the best IP practices and maximizing the value of such ideas and innovations. "By every passing year, GIPC has only got better. It started small a decade back and today it is one of the leading conferences in Asia," said Dr. Malathi Lakshmikumaran, Director of Lakshmikumaran & Sridharan Attorneys. "And it's more important today when the Government is promoting various initiatives like Make in India and Startup India. It is imperative that these startups and organizations investing and manufacturing in India should protect their ideas, innovations, and products with the help of IP," she added. GIPC 2018 will be organized at Sheraton Grand Bangalore from 23rd January, 2018, star-studded with top experts from around the world, including the German Federal Supreme Court Judge, Prof. Dr. Peter Meier Beck. The conference will have 500+ participants, 90+ speakers and a total of 24 sessions concluded by Cultural Dinner with some interesting performances showing glimpses of Indian culture to the participants, including many of the international delegates participating from more than 40 countries. Various interesting topics like Evolution of IP in context of Driverless Cars, Internet of Things (IoT), digitization, Artificial Intelligence (AI), CRISPR and Gene Editing, Competition Law, 3D Printing and Commercialisation and Valuation of IP. The inaugural session will have a welcome address by Mr. Naresh Prasad, Assistant Director General of WIPO. The following plenary and technical sessions will have speakers from Siemens, TCS, Microsoft, ITC, Wipro, Thyssenkrupp, Airbus, Philips, Novartis among a host of other distinguished speakers. ForPressRelease.com has joined the GIPC 2018 as the Media Partner to the event and the website will keep bringing all relevant updates related to the event from time to time. GIPC has become South Asia's leading annual meeting on Innovation and IP covering every step of the innovation process from idea generation to converting it to an IP (including patent, trademarks, and copyrights) and commercializing the IP. Encompassing startups, MSMEs, In-house IP Counsels, and the legal fraternity. GIPC has not only addressed the issues relating to the pharma industry but has cut across various industries like automobile, manufacturing, entertainment, IT and software. Since 2009, more than 2000 delegates have participated from over 50 countries. Shenzhen, Guangdong, China; 11, December 2017: A fan always loves to follow the style of his/her favorite star. Justin Bieber is a youth icon with an enormous fan following all across the world. For all Justin’s fans, bieber-clothing.com is a one-stop destination to purchase authentic Justin Bieber merchandise at reduced prices. 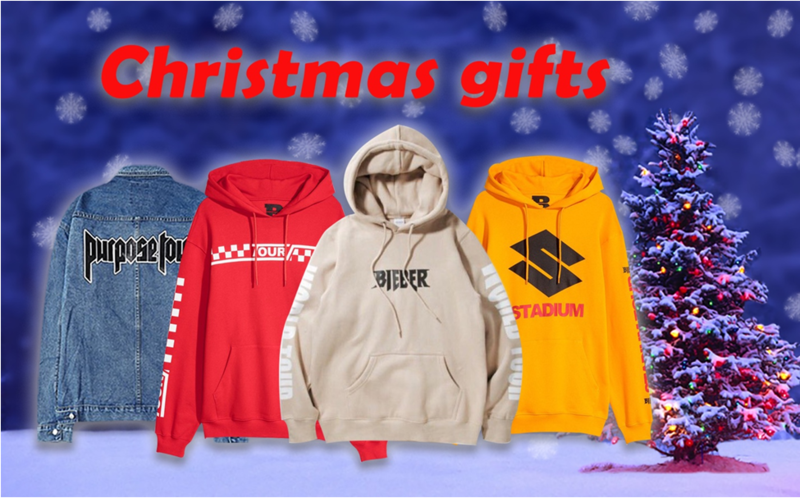 The online store brings an exciting collection of Justin Bieber clothing that includes a variety of products, such as shirts, hoodies, jackets and lots more. Available in adorable styles, these clothes precisely replicate the clothing style of this world famous pop star. One can choose from a wide range of clothes, featuring different colors and styles. According to the spokesperson of the company, some of these products are available at striking 50% discounts or even more. Anyone, who wants to showcase a hip-hop style to impress others, can find a wide variety of clothes on bieber-clothing.com. The spokesperson revealed that they have recently updated their store with new Justin Bieber shirts. These shirts are drawing attention of the worldwide fans of Justin Bieber, and there are different styles to choose from. Made from quality materials, these shirts carry printed photos of the rock star and also tour purpose motorcycle photos. One can choose shirts in white, black, yellow and other colors and can show his love for his favorite pop star. Customers can also pick from short sleeve and long sleeve shirts and can wear them on different occasions. Bieber-clothing.com also brings the signature purpose tour security hoodie sweatshirt that Justin has been seen wearing on his different tours. The hoodie is available at 30% discount and in different sizes. A customer can find the sweatshirt highly stylish and will love to showcase his casual looks wherever he goes. Along with this hoodie, one can also purchase a Justin Bieber ring and a purpose cap at reduced prices to complete the fashion and emulate the style of this hugely popular music sensation. One can explore the complete range of Justin Bieber clothes available at discount prices on the website https://www.bieber-clothing.com. Seit über 10 Jahren liefert das Unternehmen die besten Lösungen, für dieses Problem und hilft den Menschen dabei, ihren Handyempfang zu verbessern, indem sie hochwertige Signalverstärker bereitstellen. Unsere Expertengruppe nutzt ihre Fähigkeiten und ihre Kompetenz bei der Lösung von Signalproblemen und zur Verbesserung der Qualität ihrer Produkte, die vor allem Mobilfunkvertärker beinhalten. Die Handynetz Verstärker, die das Unternehmen anbietet, sind speziell für den Einsatz in Deutschland konzipiert. China, 04, December 2017: Business enterprises associated with the mass production of consumer goods heavily rely on a number of machinery and engineering equipment which is crucial for the sector. China has been entrusted by several business houses across the globe to supply them with precision engineered, high-performance machinery and machine parts for the past several years. Kuntai Machinery is one such company that is one of the leading manufacturers of industrial equipment in all of China. The company was established 32 years ago in the Jiangsu province of China. The company provides both small-scale enterprises and industrial giants with high-performance equipment and precision engineered after-market parts. The best selling product from the manufacturing unit of the company is the leather touch machine. It is one of the most innovative and advanced machinery the consumer goods sector has ever seen. The machine consists of advanced internal circuitry with state of the art central control unit with enough computational power for efficient operation of the machine. Once installed, the machine needs minimal human intervention as most of its operations are autonomous. Coupled with advanced robotics and intelligent servo motors, the efficiency rate of the machine is higher than most of the competing machinery in the market. The hot stamping machine is another story altogether, combines with precision engineered hardware and efficient management of weight distribution in the stamping mechanism, the machine is capable of delivering the best performance when compared to the previous generation of stamping machines when considering the performance statistics. The latest model consists of several onboard microprocessors that distribute the workload equally among themselves thereby reducing the chances of system failure and upping the efficiency rates. According to the input given by one of the company spokespersons, the flame laminating machine manufactured by the company is one of a kind. The onboard control unit is equipped with powerful processors and advanced circuitry that ensures efficient delivery of both heat and pressure to ensure optimal product lamination using heat at the end of the process. Other manufacturers produce hat laminating machines that use heat throughout the lamination process that is not only inefficient but also uses a lot of electrical energy. The entity has a dedicated R&D unit that keeps a keen eye on existing products and also comes up with innovative product ideas for future expansions of their product catalog. The research and development wing is also responsible for ensuring that all of their products are free from manufacturing flaws and electromechanical faults. They also provide exceptional after-sales service and complimentary onsite demonstration/installations to all their clients. Kuntai Machinery is a Chinese firm operating out of Jiangsu province in China. They deliver efficiently designed and precision engineered, high-performance industrial machinery and after-market machine parts. For further information, feel free to visit the official website of the company mentioned above. 29, November 2017: People who are afraid of unsightly scars can now read the in-depth review of Revitol Cream for Scar Removal. Rachel has created a review website with detailed information where readers can read everything about this Scar Removal Cream. Importantly, she reveals the ingredients of the cream that work wonders in the removal of scar marks. According to Rachel, the cream is exceptionally potent because of its effective ingredients, which include copper peptide, onion extract, glycolic acid, and hydroquinone. These ingredients work together to remove scar marks to help improve the appearance. The reviewer has collected information about the Revitol Scar Cream and its ingredients and which can help people who want to use the cream for scar removal. The copper peptide helps in the wound healing and works effectively both on new and old scars. Rachel reveals that the onion extract is used in most of the scar removal creams, and it is also an important ingredient of the Revitol cream for scar removal. The onion extract improves discoloration and proves helpful in the scar removal with other ingredients of Revitol. The cream has glycolic acid to help smoothen the skin and to peel out dead skin cells. The acid also prevents skin from discoloration and works with other ingredients to remove the scar marks. One can also learn about hydroquinone, which is a common cleanser and which can improve the pigmentation of a scar for its gradual fading. After reading the review, one will be able to understand how Revitol’s active ingredients work to eliminate scar marks naturally. One can apply the cream directly on the affected area and can witness a significant reduction in the scar marks in a gradual manner. The cream also helps in the healing of skin and works on burn scars, cuts and bruises. According to Rachel’s review, the product is useful for both men and women and can also remove the surgical scar marks. One can read the complete review of the product by visiting the website http://www.scarremovalcream.net. Created by Rachel, the review website provides all information for people who have been looking for information about a specific cream to reduce the appearance of unsightly scars. The reviews on the website provide general information about the scar cream, and help people to choose the best product. New Delhi, India; 27, November 2017: Now getting a fully-functional and result-driven website is well within the budget of small companies, individuals and startups. Delhi NCR based SEOSPIDY Web Services Company has announced their various web designing plans and one can now get a website at just INR 4000 only. According to the company spokesperson, they are offering cost-effective Website Designing In Delhi NCR, and clients can choose from four different plans, namely Plan A, Plan B, Plan C, and Plan D. Each plan includes different types of offerings that can meet the diverse requirements of a business or an individual. The Plan A brings an opportunity for a client to get up to a 10-page website with Google friendly and user friendly features. The spokesperson reveals that they are offering a responsive website at a nominal investment of INR 4000, allowing clients to generate leads and multiply their business. With their affordable plans, SEOSPIDY is one of the leading Website Makers In Delhi that allow businesses to gain from the internet revolution. All plans include optimized websites with benefits of search engine marketing. The spokesperson maintains that higher plans include digital marketing techniques that can allow a business to grow quickly and achieve its sustainable goals within a short period of time. Plan B and Plan C bring several advantageous features, aimed at improving reputation as well as business prospects of small and mid-size companies from different sectors. The Website Designing Company Delhi NCR specializes in building websites for clients from diverse industries, and their Plan D can be ideal for all businesses that want to take advantage of the latest internet technologies. At a cost of INR 15000, this plan offers 40-page responsive website with an easy navigation. The company employs cutting-edge technologies to generate inquiries and draw the attention of the ever-growing internet users. The website with an image slider on its homepage will be highly attractive to engage visitors and increase their chances of doing transactions on the website. One can check the details of each of the website designing plans by visiting the website http://seospidy.in. SEOSPIDY is providing the one place solution for all end-to-end support to set up a business online, launching and publicizing on the internet and promoting online for profitable commerce. The company is offering all sorts of technical services and IT Consultancy services that serve the right purpose for every online business for getting right target and achievements. By understanding the basic needs and budget concerns, they assure clients very affordable and reasonable rates that worth of commercializing business online. 23, November 2017: The biggest new trend in double IPA beers hit the market just over 3 years ago (2014) when Bent Kettle Brewing introduced their special brand of "non-conformist" craft brews to their local Wisconsin market. Bent Kettle Founder Mark Cook started brewing beer as a hobby in 2007. He began with a kit, which was a pre-fabricated mixture of malt extract, grains, hops, yeast and instructions. Mark managed to make a decent first batch of oatmeal stout because he wanted to replicate a beer that his brother had introduced him to many years prior. What really got Mark hooked on brewing was the look on people's faces when they tried a fresh, homemade, handcrafted beer. One of his baseball team mates once quipped "Ever think of doing it professionally?" Mark laughed–but a seed had been planted. He ended up seeking wise financial counsel to plot a course to turn a dream into reality. Soon after that Mark became completely focused on employing any technique he could to improve the quality of each batch and reproducibility of each successive batch. "Tweaks" were made to the recipes to improve their flavors. Bigger and better equipment was purchased. In 2014 he applied for federal and state permits and filed business documents to open Bent Kettle Brewing. He decided on "Bent Kettle Brewing" based on a survey of friends and family. Insolence was a contender for the company name but he decided to use that name for his first commercial release and flagship brew. According to Mark he chose his company name because Bent more accurately describes the craft beer recipes Mark creates: "non-conformist, irreverent, experimental and artisanal". So "Bent Kettle" was born. The ultimate vision is to be able to share his craft beer flavors with the world and enjoy creating great craft beer, amazing memories and connecting with other craft beer fans along the way. Insolence Double IPA beer is brewed with non-typical IPA malts and hard to obtain hops which have exceptional flavors. It's darker amber instead of the usual pale golden color, medium body and a big hops presence including citrus and tropical fruit flavors and aromas. Tap Room Location: 10 N. Water Street West, Fort Atkinson, WI. 21, November 2017: Plastic and its derivatives have been increasingly used in the different parts of the industrial sector as a raw material for manufacturing consumer products and machinery parts as well. While plastic is used for manufacturing products like water bottles, spoons, etc. Reinforced plastic is often used for manufacturing gears and other intricate machine accessories for engineering application in the mass production industry. The advent of more sophisticated techniques of precision molded products plastic molding technology led to the development of a new era of plastic molding firms. Eco Molding Co., Limited is a Chinese firm that is associated with bringing forth innovative products and ideas related to plastic mold injection industry. The company strives for providing their global client base with assured quality products at unbeatable prices with satisfactory after-sales services. They continuously change their business policy to adapt as per the ever-changing business world. The company routinely upgrades their systems and equipment to be in-sync with the latest trend and technology. They understand the needs of their clients and act accordingly to come up with customized solutions to their unique set of problems. They frequently introduce modern management systems in their infrastructure that enables them to efficiently manage their manufacturing operations that ensures efficient deliverance of services and quality assured products. The business policy is formulated to ensure that the firm renders customer-centric eco molding services to their clients. They make sure that their project managers and production engineers maintain the highest levels of innovation in their product ideas. They address the needs of their customers with the highest levels of priority. The firm has its headquarters in the Guangdong province of China. The manufacturing unit of the company is equipped with state of the art equipment and machinery. The workforce of the company is kept at bare essential levels since most of the machinery used by them is autonomous and doesn’t leave much room for human intervention. The supervisors and the project engineers all have years of experience in mould cost calculation and hold extensive knowledge in the field they are assigned to. The HR department of the company is sometimes headed by the CEOs and board members to make sure that the quality of their products and services remain at the highest standards. Their commitment to quality made them eligible to be awarded the ISO certificate back in the year 2004. The manufacturing unit of the company runs 24/7 and manufactures products like chairs, spoons, etc. Eco Molding Co., Limited is a Chinese firm that is associated with the fabrication of quality assured, industrial grade plastic products using mold injection technique. The company invested heavily in establishing their in-house research and development wing. This department is responsible for new product ideas along with the perfection of already running products for maximizing quality assurance. For further details, please visit the official site of the company mentioned above. Company: Eco Molding Co., Limited. 18, November 2017: So many times have passwords been forgotten with the multitude of usernames, emails, bank accounts, passwords and membership IDs to remember every day. How much time has been lost trying to recover a new code for every lost password? Isn’t it tiring to have so many credit cards and membership cards in one wallet? GID is the best solution for these problems. Subscribing for a GID account will have a lot of services to make life easier and more secure! GID stands for Global Identity, the GID number is an alphanumeric code generated from the user biometric data to access different kinds of services. The code is generated using a proprietary algorithm. GID Mobile interface is made available for IOS and Android. Gain access to the platform with your GID Number or with your fingerprint using the USB fingerprint device and link all your information and accounts all over the world to one code. Differently from other codes, the GID is not generated from a anagraphic information but from the user’s biometrics. The code is generated from a letter and two numbers for a total of 15 characters which are automatically generated from fingerprints. It is easy and unique since there is no fuss about remembering it. Even if forgotten, access can be gained with fingerprint. The code is stored in servers once generated for easy access by users for different kinds of services whether personal, administrative or commercial. Every user will get an USB fingerprint scanner to sign up and easily access to the service through a web interface. The GID sensor is designed in order to easily generate the GID number and the associated account. Using the fingerprint, the user can access a complete universe of services that are constantly evolving. The light turns green when the login will be successful or red if there is a problem with the recognition of the fingerprint (for instance unknown user, problem with the fingerprint device). Privacy settings will allow the user to manage its privacy, through a user-friendly, easy-to-use interface, choosing the settings which prefers. Together with the GID number, users will get a GID email easy to remember and unique. It can be accessed using just fingerprints with no password entry. They will also get a messenger account associated to their GID number valid all over the world. Good thing there is no hassle of changing phone or operator. With GID, users can connect to all their social profiles and can be found using their GID number and so much more! What’s more, a GID card that can be used to access exclusive offers, discounts and subscriptions to national and international partners, services just by scanning the QR code on it. It’ll be automatically generated upon the new account registration. Help provide support to develop this software and manufacture the product in Shenzhen, China with a team of designers and programmers who will be able to deliver the software in six months without delay. They plan to proceed with a slow pace in order to get the right focus to priorities, without wasting precious time. They are conscious about the challenges that may surface for some of the products. That is why they will take a little bit more time for some services, to be able to manage them separately and to exploit synergies to be created at the starting point. Once GID services is launched, the next step will be expanding globally with more expectations such as GID SDK where users will be able to join new websites and platforms with the unique ID, letting them not waste their time with annoying procedures of registration. Also, GID Online payments will allow users to make payments through the internet with this technology, which guarantees high levels of security. Milad Botros is the founder and CEO of GID and works with the team of Blue Crunch software Development Company. Their hope is to make a pledge goal of €25,000. Milad said “First thing first: thanks to all those people who have supported us until now, your backup is greatly appreciated! We are currently engaged in a new marketing campaign to appeal more possible backers and to keep our project fresh and updated. We know it's an ambitious project, but we are and we will be working hard to keep faith to all our promises.” The future of GID has no limit and can embody any future technology. Support this project today and help make life easier and secure. To make all this a reality, pledge and support this software project. Visit https://www.kickstarter.com/projects/1819018321/gid to find out how you can get involved. For more information or enquiry visit www.gid.life or reach out at info@gid.life.